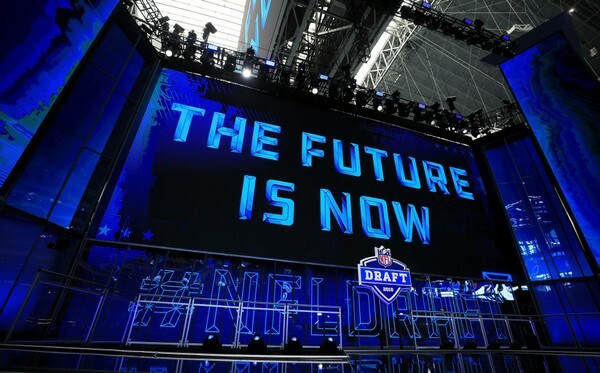 Giants Earn an ‘B’ for Their Draft According to ESPN’s Mel Kiper Jr. The draft grades from ‘Draft Guru’ Mel Kiper Jr. are out, and one team that got a very good grade is that of the Giantss, who according to Kiper got an ‘B’ for their collection of players over the two days. You can love the player but question the pick. That’s the issue with Saquon Barkley at No. 2. I always say to look for running backs after Round 1. That’s where the value is. Look at last year. Dalvin Cook and Joe Mixon went in Round 2, and Kareem Hunt and Alvin Kamara went in Round 3. Those are fantastic three-down backs with much smaller contracts than Barkley. Barkley will probably be great — and the Giants haven’t had a 1,000-yard rusher since 2012 — but he’s taking hand-offs from a 37-year-old quarterback in Eli Manning, who has been objectively pretty bad in recent years for long stretches. So that’s why I would have gone with Sam Darnold here. Get the quarterback who’s going to take Eli’s place because the Giants don’t pick this early ever. Again, though, I like the pick of Will Hernandez at the top of the second round (pick 34). He’s going to help pave the way for Barkley, and he fills a need after losses in free agency. Lorenzo Carter (66) is a good outside linebacker who is a fit in New York’s new 3-4 defense. I thought he could sneak into the top 40 picks after he ran a 4.50 40 at the combine. He’s not a true pass-rusher, but he could play inside. B.J. Hill (69) is a powerful nose tackle who started 44 games at NC State. Grabbing Kyle Lauletta at No. 108 is good value, but he doesn’t have an NFL arm at this point. He’s a touch passer, and he has to get stronger. 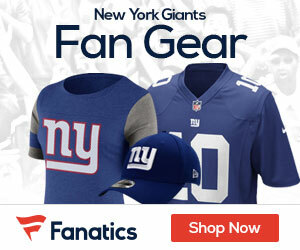 He’s going to compete with last year’s third-round pick Davis Webb to back up Manning, and maybe the Giants will find their quarterback of the future there after a couple of years of development. RJ McIntosh (139) was one of my favorite underrated players, and he could be a steal. He’s quick and athletic, and he has a motor. He’ll likely play end. Again, I’m not going to crush GM Dave Gettleman’s first draft in charge of the Giants. I like the players he got, and we clearly have a different philosophy. All I have to say about “draft expert” Mel Kiper is that if he were made of chocolate, he would eat himself! If you have an opportunity to take a truly transformative, impactful running back, like a Barry Sanders or a Ladanian Tomlinson, you pull the trigger! Kiper can GTF! Obviously, with all of the scouting and film review you have done over the years, you showed how little you really know about pro football. I will bet you your house, your children, your grandchildren and anything else you like that Barkley has a HALL OF FAME career while Darnold becomes a solid NFL QB, but certainly not a perennial Pro Bowler. With this offense, Manning might play another 4-5 years, so there’s plenty of time to draft a top-tier QB, if Webb or Lauletta are not the answers. Too true Rob. Agree with everything you’ve expressed. Similarly I believe Eli will play at a high level into his 40s, especially with Saquon, Odell, et al and this defense. If drafting Saquon earns Eli his third and us our fifth championship it will be entirely worth it!